Nankana Sahib, one of the holiest destinations of Sikhism faced some emotional scenes on the event of Guru Nanak ‘s 549th birth anniversary. Siblings who got separated amid the partition in 1947 met first time than seven decades. 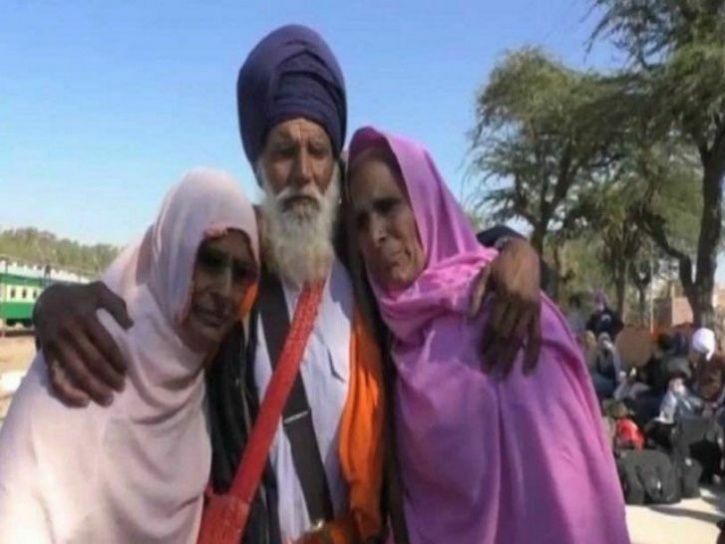 Sardar Bayanth Singh met his two siblings, Ulfat Bibi, and Mairaj Bibi on Sunday at the Nankana Sahib where he had gone for the pilgrimage. The family was originally from Paracha town near Dera Baba Nanak Gurdaspur, India before the partition. Be that as it may, in the partition a daughter and child went missing. The family later relocated to Pakistan abandoning their two kids. Many years later, the siblings’s mother, Allah Rakhhi, contacted one of her previous neighbors and took in the whereabouts of her child Bayanth. From that point, the sibling stayed in contact over letters and phone calls. This year Bayanth arranged a journey to the Nankana Sahib’s Gurdwara where he likewise got the chance to meet his sisters. Addressing media, Ulfat Bibi expressed her desire to be permitted to make a trip to India where she can meet her sister-in-law and nieces and nephews. The two sisters have likewise spoke to Pakistan Prime Minister Imran Khan to extend Bayanth’s visa in the event that he can’t be granted Pakistan nationality. The tale of the re union comes when both Pakistan and India are cooperating to open the Kartarpur Corridor, a pilgrim route to the Gurudwara Kartarpur Sahib in Pakistan.